Black metal. Progressive rock. And everything inbetween. The debut (and sole?) 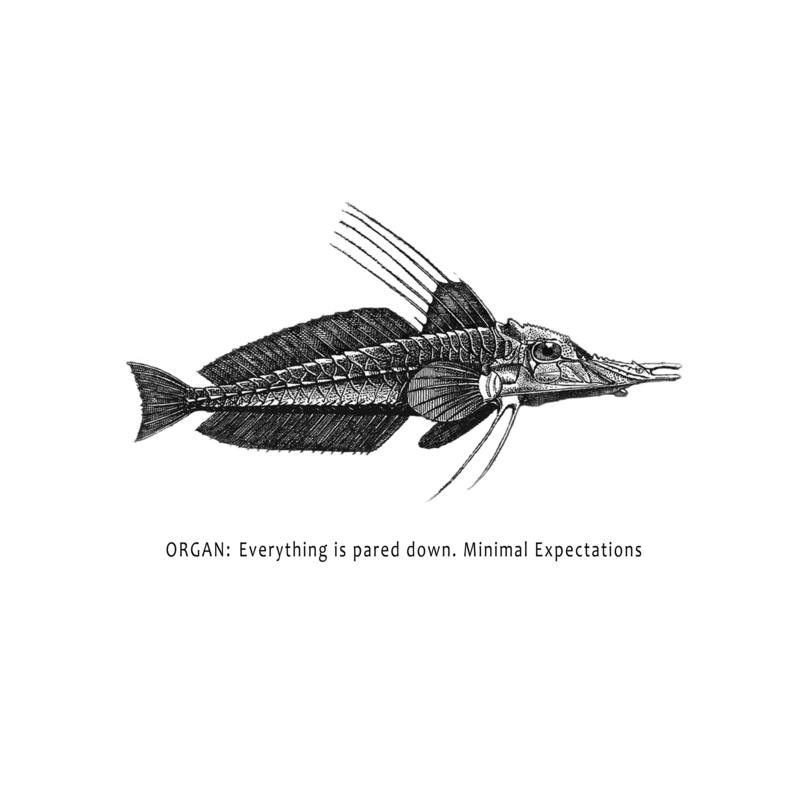 album of Italian / Norwegian trio ORGAN: is just that – a cornucopia of sounds derived from and inspired by an incredible wealth of sources. 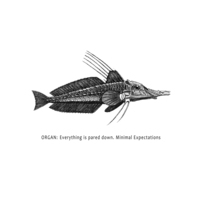 Impossible to narrow down to a specific genre, «Everything is pared down. Minimal Expectations» finds itself sitting comfortably outside practical convention. It is simply music - sometimes abrasive, often beautiful - yet always fascinating and inspired. ORGAN: unite the past, present and future, as childhood memories blend with road-weary contemplation and universal wonder. 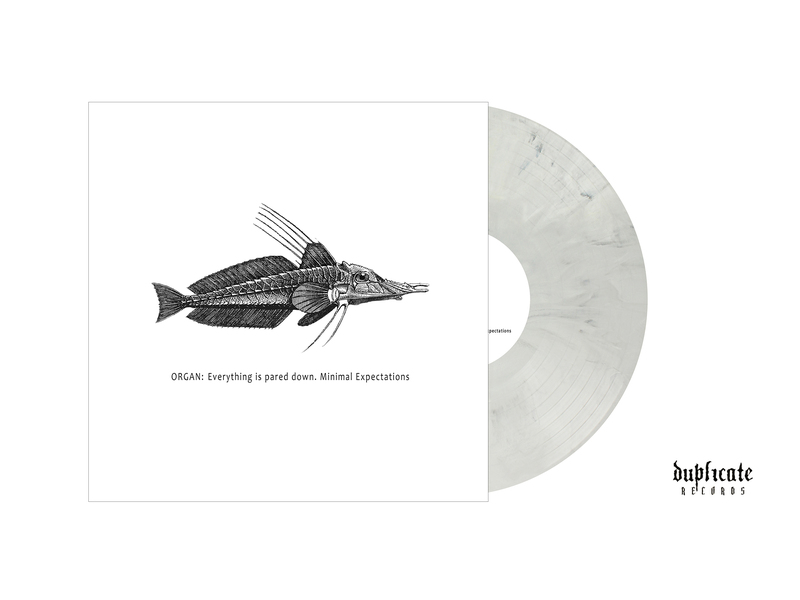 Ltd. white/black marbled LP (100x), black LP (200x) and Digipack CD (300x). 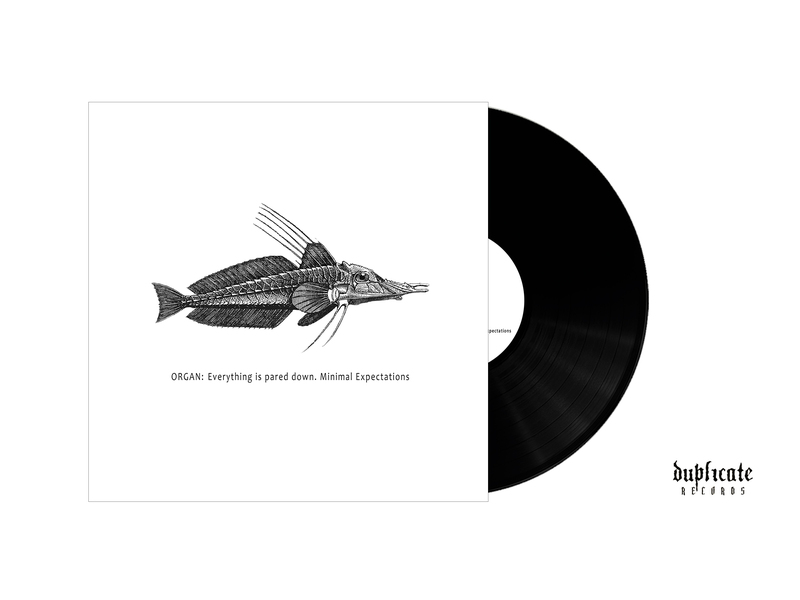 The first customers who order the LP will receive a free ORGAN: 7"EP. Released exclusively by Duplicate records.